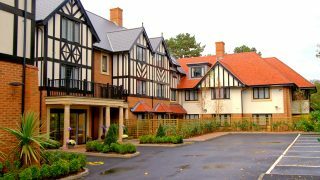 Anya Court, our care home in Rugby, was recently awarded the top accolade of ‘Best Care Home’ at the prestigious Pinders Healthcare Design Awards. 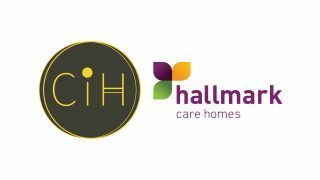 The awards, which marked a record breaking fifth win in five years for Hallmark, seek to acknowledge the contribution made by designers, architects and the owners of care homes, hospitals and other care schemes to the well-being and quality of life for those in their care. 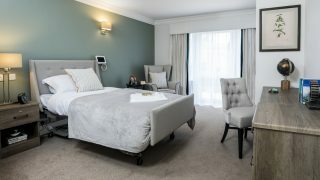 The home, which provides residential, nursing and dementia care, has been the talk of the town thanks to its impressive architecture and offering of innovative facilities such the luxury cinema and relaxing therapy room. Other areas such as the colourful ‘Corner Shop’ and the various ‘Residents’ Laundry’ rooms are designed to encourage active and independent living. Anya Court’s specialist dementia community features its own ‘Tea for Two Café’ with a traditional kitchen area and a large terrace overlooking the gardens. 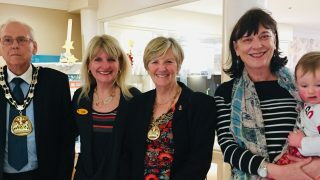 There is also a hair salon, laundry room and ‘Emporium’ shop; all of which providing vital destination points for residents living with a form of dementia. Outside, there are landscaped gardens, complete with a greenhouse, and a modern water feature as its centerpiece. Meanwhile, residents are encouraged to get involved and keep active by joining their weekly Gardening Club. The objective of the home was to create an attractive building to fit the local community, and to provide residents with indoor and outdoor spaces that encourage activity and interaction. A panel of expert judges visited Anya Court last month along with two others, including a Bupa care facility, before coming to their decision. 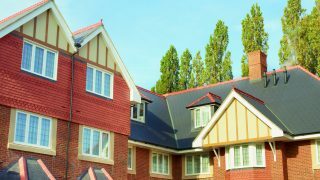 Panel expert and director of Pinders, Jon Chapman said: “It is Hallmark’s attention to detail, their use of outdoor space which they make available to residents and their continued evolvement which gives them a buzz and set them apart from other entrants. 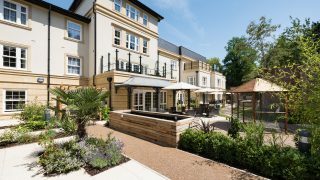 Anya Court’s win follows in the footsteps of Maycroft Manor in Brighton which was awarded ‘Best Large Dementia Community’ at last years awards. 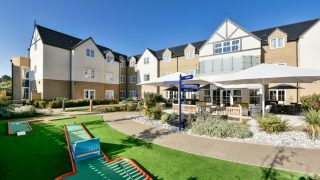 Bucklesham Grange Care Home in Ipswich picked up the award in 2013, leading on from Alexandra Grange in Wokingham and Anisha Grange in Essex which won awards in 2011 and 2012 respectively. 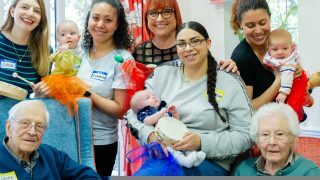 Lakeview, our care home in Surrey, was also recognised at this year’s finals for their outstanding dementia facilities, just narrowly missing out on an award.